From there, it was just Karlsson and Aaron Dell, the goalie who had to take over for Martin Jones at the first TV timeout of the game. Not only did it pay off, it buried the Sharks and it goes down as yet another massive goal for the man who has terrorized San Jose more than anyone else over the past two seasons. 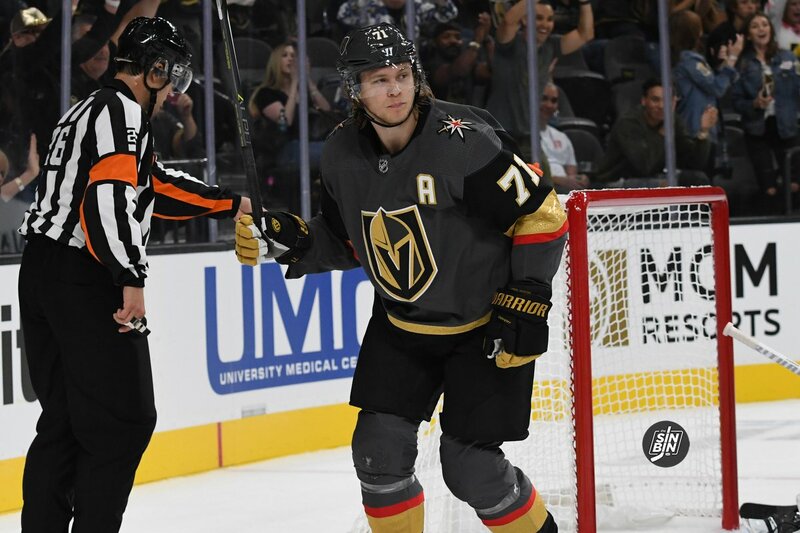 It became the Golden Knights second shorthanded goal of the game (the first time VGK have ever scored more than one in the same game) and it gave Vegas the breathing room they so desperately needed not only in the game, but in the series. And who else, but William Karlsson… again. how is #21 doing after being slammed into ice at end of game? Great recap, fun to read! Such a beautiful goal 🙂 I read a few Sharks fans saying oh Karlsson turned into just an average player this year. It’s so funny when people who don’t watch any games make these comments. Karlsson was just as good this year as last, he just didn’t score as many goals, but all of the great play and defense and penalty killing was there. I disagree with stars of this game. I would give the coach (coaching staff) as no. 1 star. After that first game poor effort, and then after that first period in game 2, they had to work something to get this team on track. I would also say that MCNAB was , by far, the first star of this game. He was doing double duty as D man and GOALIE. The team blocked well over 20 shots , that means that D came to play. They also made most of the penalties. The coaching staff must have ripped them a new one. I hope that blocking so much rubber doesn’t wear on them, that is a lot of blocked shots. Someone has to be hurting.